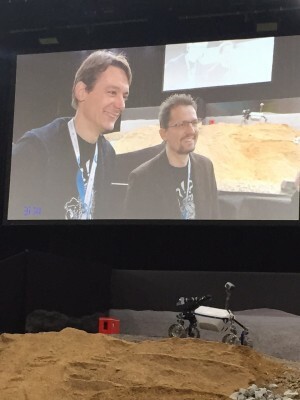 The Rover from DLR RMC „RMexplorer!“ has mastered all the tasks of Spacebotcamp 2015 successfully and in an impressive rate. 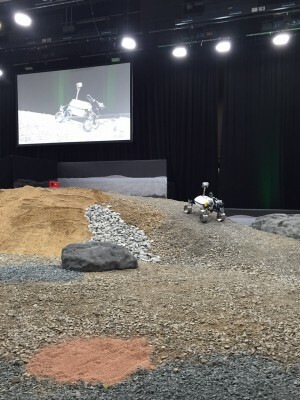 This demonstrates the efficiency of the LRU Rover for an autonomous mission, as it is planned for the demonstration mission on Mount Etna in 2017. This content is only available in German language. Please switch to the German version. 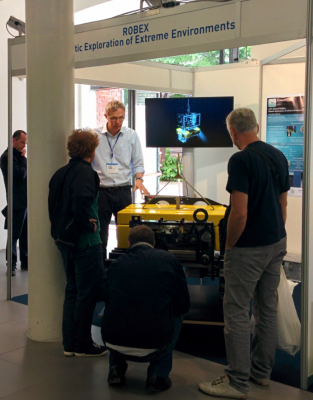 Alexander Duda (DFKI) and Laurenz Thomsen (Jacobs University) gave ROBEX talks and demonstrated the new iWALLY, in an advanced state of development, to the visitors to the Oceans15 conference, Genova, May 18 – 21. The small ROBEX booth attracted an enthusiastic audience of scientists, officials and industry agents. Contacts were established with 22 visitors for the possible development of future collaborations and contracts. Alexander demonstrated the laser-camera concept and was immediately received a nice job offer from a company in California, which he will hopefully decline. This is a good indication that young ROBEX engineers are well suited for the international job market. An 11 day multidisciplinary field excursion was organized by Jacobs University Bremen and DLR Berlin to investigate the volcanic island of Vulcano, Italy, and the surrounding waters. 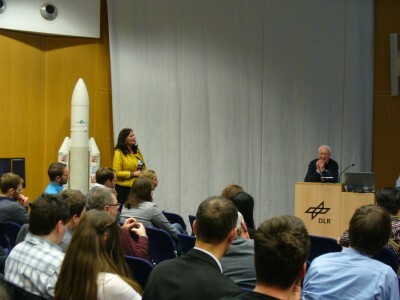 The excursion was open to the whole of the ROBEX community and comprised members from a range of partners, including DFKI, DLR, TU Dresden, MARUM, as well as Earth and Space Sciences students from Jacobs University (read more). On May 6, 2015 a group of 13 international PhD students from the Robocademy visited the Alfred Wegener Institute. The Robocady is an EU project supported merger where robotic students can make their doctoral thesis to maritime topics. 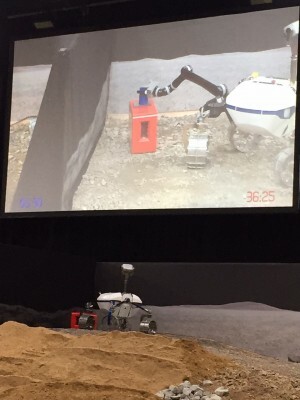 The AWI is an associate partner of the Robocademy. 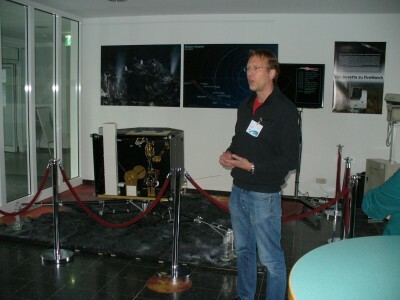 The group was accompanied by Dr. Thomas Vögele and Tom Runge from the DFKI Robotics Innovation Center. After a general introduction of the institute Dr.-Ing. Johannes Lemburg (AWI) explained the mechatronic challenge in the development of deepwater technologies on the example of the AWI deep-sea crawler TRAMPER . This was followed by a lively discussion phase about scientific and technical details. 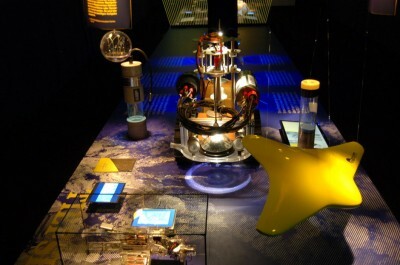 From 16 April to 20 June 2015 the Helmholtz Alliance ROBEX presented an exhibition at the House of Science Bremen (HdW), which makes first results of the cooperation between deep sea and space research visible for the general public. The exhibition offers first the opportunity to experience unexpected synergies and to understand the added value of an unusual collaboration. 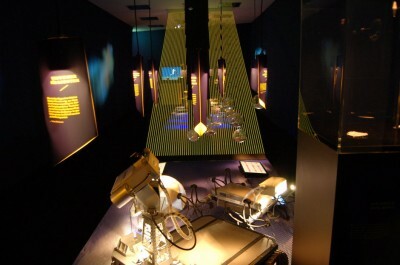 It is a particular claim of the exhibition to inspire the spirit of exploration and discovery of young people. 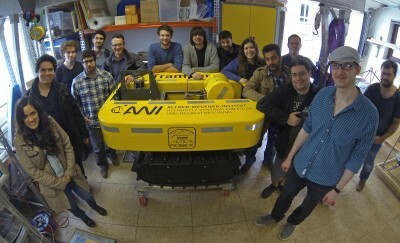 Therefore, a flanking exciting school project to lunar and deep-sea robotics takes place. An addition, a social media mediated interactive game, where ronots explore the city of Bremen, suggests another link between young people and the exhibition. The exhibition shows extraordinary testimonies of the two extreme environments, provides insight into the progress of the development of robotics and instruments and allows visitors to experience how difficult it is to control robot precisely in inaccessible areas. Experience for yourself how robots replace „your eyes“, „your arms“, „your nose“ in extrem environments and thus bring light into the darkness. And „fly“ by using the „Tranzendators“ in a capsule in the depths of the oceans and our solar system! More information about the exhibition can be found here. More photos of the exhibition opening, click here. In the last week of November, the two ROBEX deep-sea crawler AWI–TRAMPER and GEOMAR–VIATOR dived down for the first time into a large salt water pool of the Maritime Exploration Hall at DFKI Bremen. Read more about it here and under downloads.